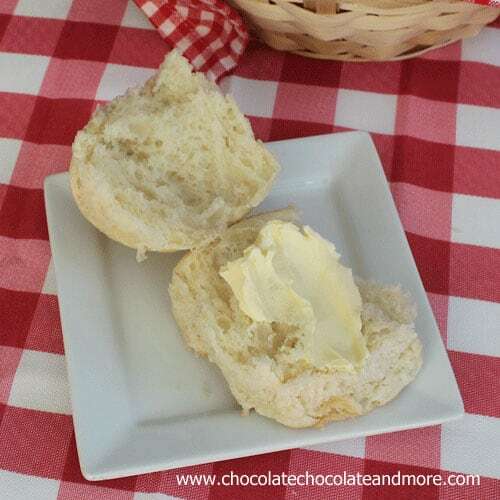 Light and Fluffy Dinner Rolls - Chocolate Chocolate and More! 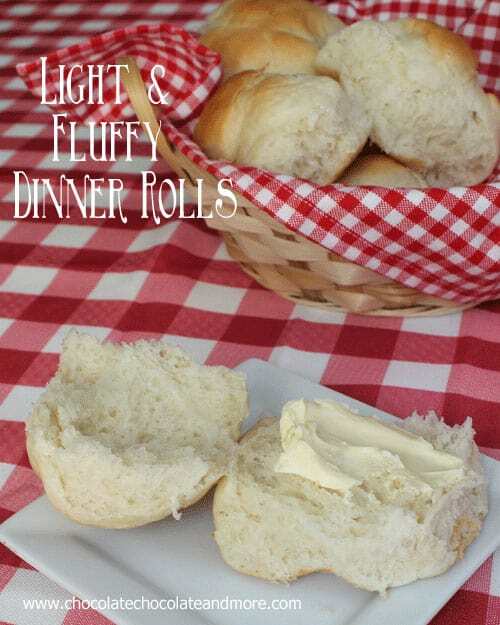 Light and Fluffy Dinner Rolls-so easy to make they’ll become a family favorite! It’s been a while since I shared with you some yeast infused deliciousness. That’s about to change. I’ve been playing with yeast. A lot. And when you play with yeast, the yeasty beasties start to get all giddy and happy in your kitchen. OK, yeasty beasties is something I completely made up but the principle is there. The more you use yeast, the friendlier your kitchen will become to the yeast spores that are in the air. See, Yeasty Beasties sound more friendly. This recipe for dinner rolls has got to be the best, the easiest, the most foolproof recipe I’ve ever used. Just mix it up in your mixer. Let it rise, shape it, let it rise again, and bake. I’ve made it with fast acting yeast, with regular yeast. I’ve let it rise in the fridge, on the counter, I’ve let it over rise. I shaped it into rolls, breadsticks, even loaf bread. If you’ve been afraid to use yeast, always wanted to use yeast, been meaning to try your hand at yeast recipes, this is the recipe to start with. And your family will thank you. There is nothing better than fresh baked rolls with a meal. Or the next day, still just as fresh, split open with some ham thrown on it, maybe a slice of cheese or just a swipe of butter. In the bowl of your mixer, combine 2 cups flour, sugar, salt and yeast. using the paddle attachment, add hot water. Mix on low speed until all combined. Add in shortening and egg, continuing to stir until all blended. Switch to dough hook and add remaining flour. Knead dough for 10 minutes. Dough will be very soft and sticky. Transfer dough to a large greased bowl, turning dough to coat. Cover with a damp towel and let rise in a warm location until doubled in size. Turn dough out onto a floured surface. Roll dough into a long log and dived dough evenly into 12/15 pieces. Shape each peice into a ball and place in a greased 9 x 13 pan. Cover with towel and let rise again until doubled, about 45 minutes. Bake in a preheated 375 degree oven for 15-18 minutes, until golden on top. 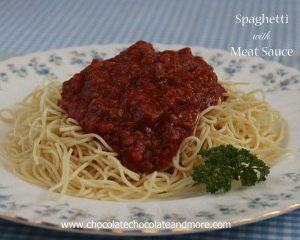 How about some more dinner ideas? I love these! I am in love with rolls, as you know. 🙂 Love the site too Joan! Thanks Dorothy, playing with yeast has helped keep me sane these past few weeks! Love your new look. It is so clean and inviting. These dinner rolls sounds fantastic. My hubby is a bread man any type of fresh bread, rolls, etc. I’ll have to make these for him. Thanks Christie, My hubby is all about the bread, he’d be happy if we never bought bread again and I just baked fresh every day, lol. I will say, I did make these almost every day for a week. They’re so fluffy!!! (name that movie :)) I love homemade dinner rolls! Pinning! hehe, is the movie Despicable me? So cute! Ashley my hubby loves the tube biscuits in the morning with sausage and I don’t think I’ll ever be able to change him on that one. 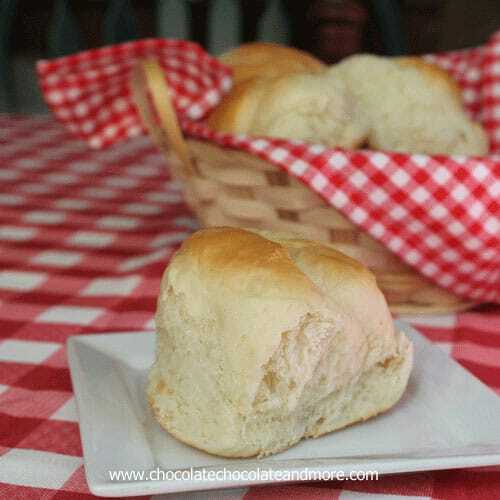 There is nothing like homemade fluffy dinner rolls-my family loves them!!! These rolls look amazing! I came across the yeast in the mixer method earlier this year. It is AMAZING! 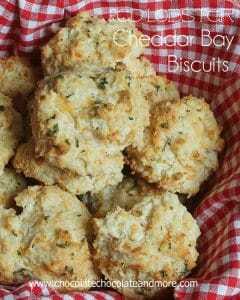 I am going to print off this recipe and make some yummy rolls for Hubby’s Dinner! Thank you so much for sharing on Show Me Your Plaid Monday’s! Chandra, you’ll fall in love with these rolls, we have! These certainly look incredibly light and fluffy! These are a must make – I can just imagine some slow roasted shredded BBQ pork sliders on these. You are so right Laura! 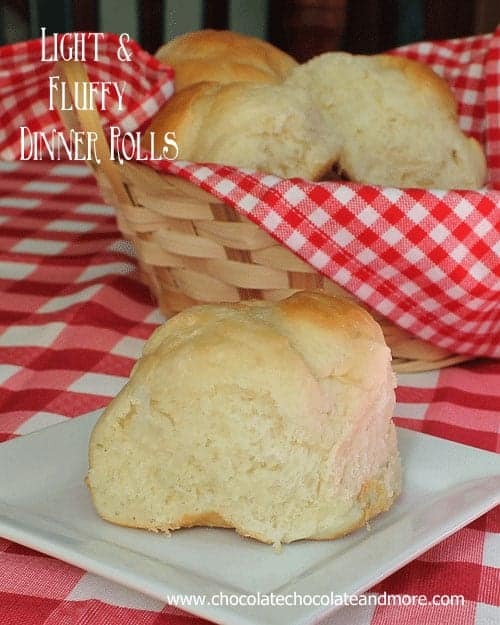 I love making my own dinner rolls and yours turnes out so light and fluffy! I just made these & am tasting them now. I wouldn’t describe them as “light & fluffy”. Mine were alright, not great. Probably wouldn’t make these again, but thanks for sharing the recipe. Cindy, so sorry to hear you weren’t happy with the recipe. Do you bake bread often? I’d be happy to chat with you to try and figure out what went wrong. I love these light and fluffy rolls, Joan. Your new site is too cute! I love making fresh rolls for with dinner, definitely trying this recipe! Those are some ridiculously fluffy looking rolls! I LOVE dinner rolls. I use them for everything. Hamburger buns just taste so bla compared to a dinner roll. Jen we also love these rolls. Funny about you needing more flour but then every area of the country will treat the yeast differently. It’s why San Francisco will always have the best sourdough bread in the world. Just keep making it with your adjusted measurements and enjoy! 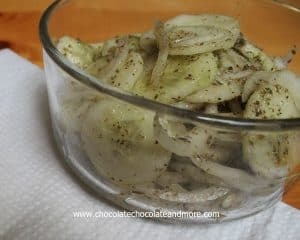 I don’t like to use shortening, very unhealthy, is there anyway that butter can be substituted in this recipe? Stephanie, you could use butter instead! Hi, this may be a daft question, but how much is in “1 package active dry yeast”? I would like to give these a whirl but don’t want to get the ingredients wrong. Hi Claire, I packet equals about 2 1/2 teaspoons of dry yeast. Enjoy, these rolls are so good! I’ve seen some recipes where they say you can freeze the dough – do these hold up well to freezing? Do you let it rise before you freeze it, or after you thaw it? I like to make things in big batches when I have time, so that I can make dinner quickly when I have less time, and having some good rolls to take out of the freezer to make would be great! I haven’t frozen these rolls or the dough but I do freeze bread dough and biscuits all the time. I would recommend freezing these after shaping them and placing in the baking pan, you can use one of those disposable foil pans. When ready to bake, remove from the freezer, let thaw and rise, then bake according to the recipe. Shelly, did your dough rise? Maybe the yeast you used wasn’t good, I’ve had that happen before. I’d like to try and help you figure out what went wrong. Hi Stacey, I’m so sorry you’re having trouble with this recipe. There are a couple of possibilities. Are you making sure to stir the dry ingredients to mix in the yeast before adding the hot water? It could be your tap water is too hot. You want the water temperature to be warm but not boiling, best temperature is between 105-115 degrees F. If the water is too hot, you’ll kill the yeast. Since you are a bread baker, I’m going to assume you’ve got a warm place for the dough to rise. I’ll usually preheat my oven to about 200 then place the dough on top of the stove to rise in the winter. Using your mixer shouldn’t have any effect of the kneading process if you have a dough hook. Hopefully it’s one of these things and you’re next batch of rolls will be a success. Thank you for your help. I wasn’t mixing my yeast in and I will try to be very careful with my water temp next time. I will try again because even if they didn’t rise they smelled amazing and the first time I baked them anyway and had a bite. They were about the texture of shoes of course, but they still tasted amazing. I will not give up!! lol Do you think proofing the yeast first would help? I love your site an drool over your gorgeous creations. The pics are fantastic! I really would love to make these but I am not usually home all day, long enough to make these and also do the waiting required for the dough to rise. Is there any possible way to make the dough in a bread maker? I realize you probably can not bake the rolls themselves in the machine but maybe using a machine to mix the dough and let the dough rise would save some time? I would consider it a personal favor if you could let me know what you think. I’m dying to try these! Thanks so much! Hi, I would really love to make these rolls, but I don’t have a stand mixer. Do you think they would turn out if I mixed the first set of ingredients together with a hand mixer, and then kneaded by hand instead of the dough hook? Absolutely! Nothing wrong with hand kneading, just knead until the dough has that elastic feel, about 7-10 minutes should do it. I was wondering if these would come out as well if you used a bread machine to make the dough? If you have a bread machine that can hold 4 cups of flour, I’m sure it would work great. What town do you live in in Georgia? Just curious? Made these rolls and everyone loved them – thanks so much! One question – can I leave out the sugar, for a less sweet bread? Or does that mess with the chemistry too much? These rolls were so easy to make, and YES they turned out just like the picture, this recipe is a keeper! Delicious! if you could please tell me if you use glass pans or metal? I use both. The recipe stays the same. You can still make these. When adding the remaining flour, you will probably have to hand knead the flour in once the dough gets to stiff for your mixer. As for using wheat flour, Yes, I’ve substituted half of the all purpose flour for wheat and they are delicious! Quick question: ingredients stated 4 cups of flour, but on the instruction it stated to combine 2 cups of flour only where will the other 2 cups go? When you switch to the dough hook, you add the remaining flour, in step 1.